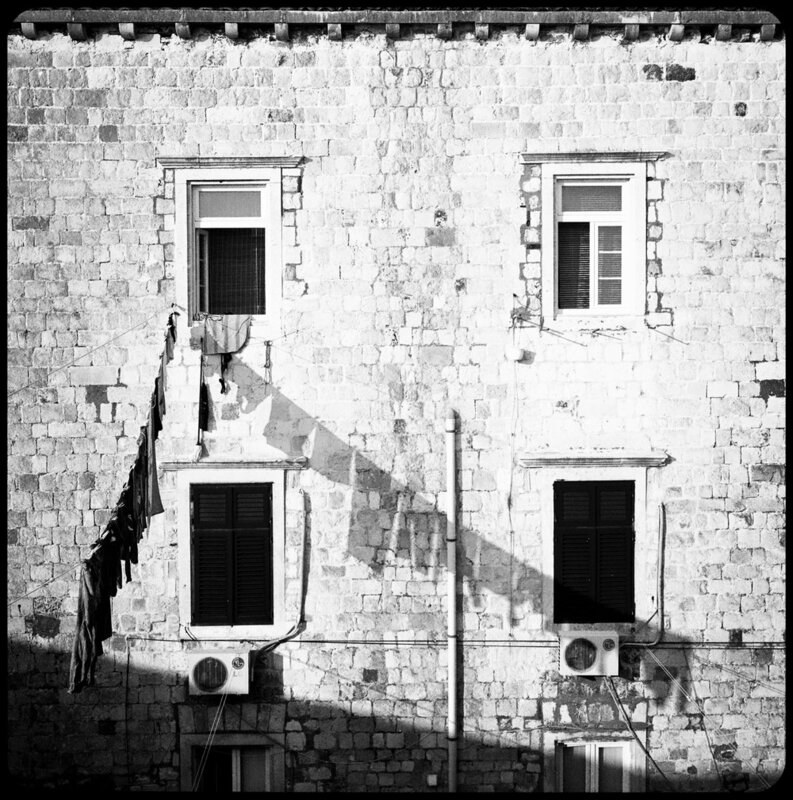 Dubrovnik, Croatia- Walking atop the wall that surrounds the old city, the sun sets around me, shadows growing longer by the second. There is a line of people on both sides of me, all present to walk along the wall, taking in the sights of the city. A series of shadows catch my eye and I stop abruptly, causing people to bump into each other. Clothes hanging on a line, drying in the afternoon sun. I love everything about it. The simplicity of it all. Because of the high flow of traffic, I have to wait maybe 5-10 minutes for there to be an opening. My head stays bent down, staring into the top of the camera, watching shadows walk through the frame. I glance up, waiting for a lull, and I notice one approaching. With just enough time, my frame clears and I take the photo.